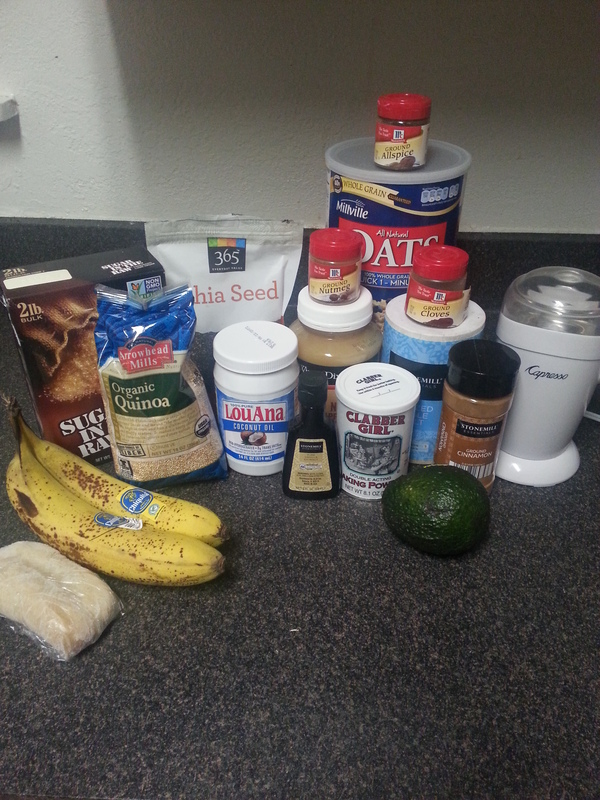 All of the Contents in My Bread Pudding Recipe. *this is the measurement I use before grinding my ‘flours.’ I usually use a small spice/ coffee grinder to pulverize them because I get a finer consistency than if I were to use a blender or food processor. A Close-Up of All of the Grains I Used. Hooray for Being Healthy! Pour coconut oil and applesauce into a blender, along with the ripened bananas and avocado. Puree the mixture until smooth and creamy. Set aside. 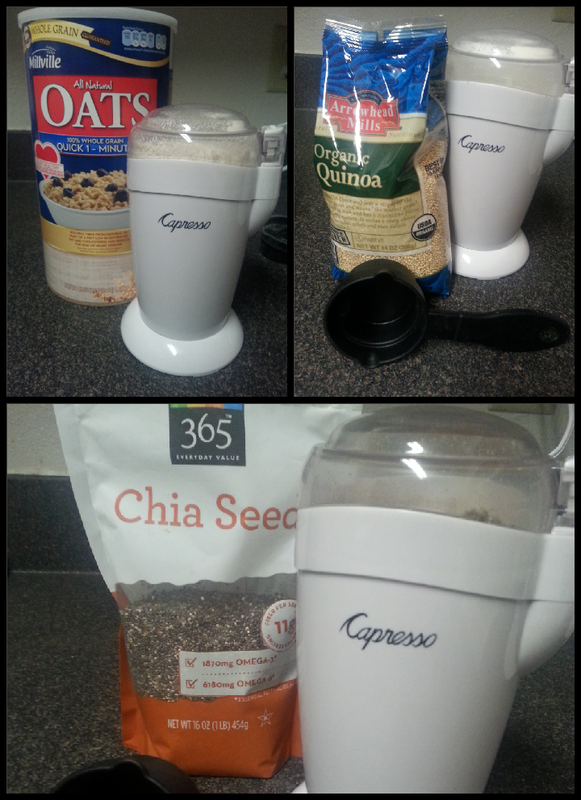 Measure out your chia seeds, quinoa, and oats. Finely grind them and pour them into a mixing bowl. Add the turbinado sugar, baking powder, and ground spices into the bowl the has your flours. Whisk all of your dry ingredients together before folding in your coconut oil, applesauce, banana, and avocado smoothie and vanilla extract. **Now, because I eliminated all of the gluten and eggs and dairy, this pudding will be very dense (but super moist, so don’t worry about that.) To keep your bread pudding from falling apart, you have to wait until it COOLS COMPLETELY to slice it. Also, don’t worry if it starts to sink when it comes out of the oven. That’s supposed to happen. It literally has the structure of pudding. 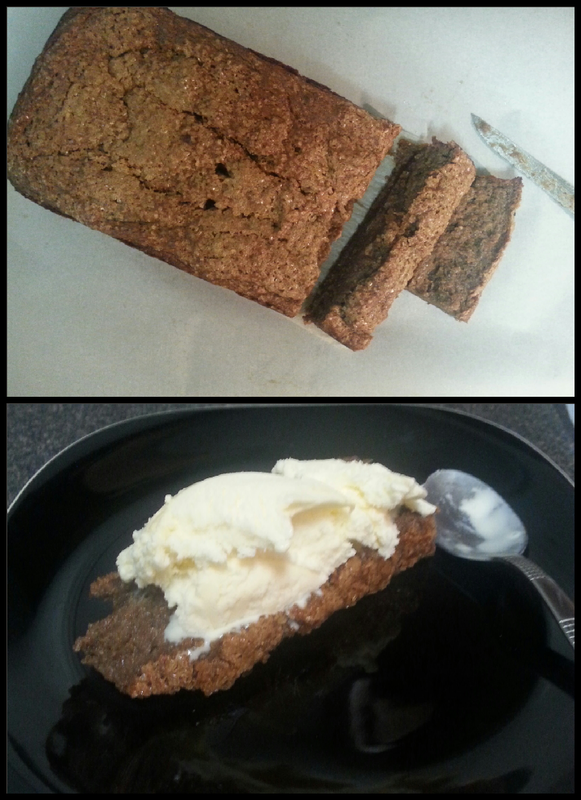 Yes, I Understand Putting Ice Cream on Top Defeats the Purpose of it Being Dairy-Free, but it’s SO Worth it! Next Post Keeping It Current: Starbucks… Really? This is a Thing? !